How do I camouflage My Vitiligo ? This is a question we are asked on an almost daily basis. 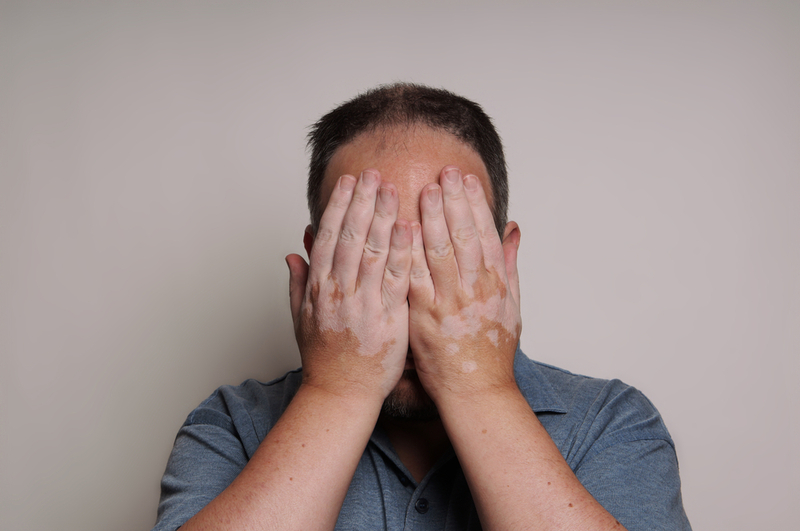 Vitiligo is one of those conditions that can benefit from some of the most dramatic results , have a look at our gallery page for a really good example. However, it can also be one of the the most tricky especially if your Vitiligo is active. Active Vitiligo can turn your camouflage cream orange when applied . The antidote to this is to choose a camouflage cream that has a green undertone. Most creams look very different on the skin than they do in their container. Be bold, even if you think there is no way that green sludgy colour is going to tone with your skin try it the chance is it will be a perfect match. Now there is something else that I want to share with you. There is no rhyme or reason for it its just something I have discovered over the years and it seems to only apply to Vitiligo and that is to do with the application of your camouflage cream. For some reason camouflage creams do not go on very well or give a very good finish when applied with your hands,this just applies to Vitiligo. As I have said I have no idea why, there is no science behind it its just my own observations and experience. I recommend that you use a natural sponge,never use a synthetic sponge, which you will need to wet, squeeze out the majority of the water then squeeze in to a piece of kitchen roll to remove any excess water so that the sponge is soft rather than wet then apply straight on to the skin or if you prefer or your camouflaging a small area use a brush . A brush is a vital bit of equipment if you are camouflaging around a hairline or if your a man and you need to get under those bristles the size of brush will depend on the area. When applying your setting powder I always use two brushes, one about a large blusher brush size to apply in nice big blobbs all over the camouflaged area then after leaving the fixing powder for a few minutes to absorb I use the second a very large powder brush that is big and loose to flick off the excess. Very occasionally you can achieve the perfect colour match but the condition you are covering will still be slightly visible, we call this a bleed through. Malasma/Chloasma can occasionally appear with a faint greenish tone, scars particularly self harm scars can appear to have a silvery quality and tattoos can have a yellowish tint. Apply a thin layer of your blocking agent, allow it to dry naturally then simply camouflage over the top and add your fixing powder as normal. 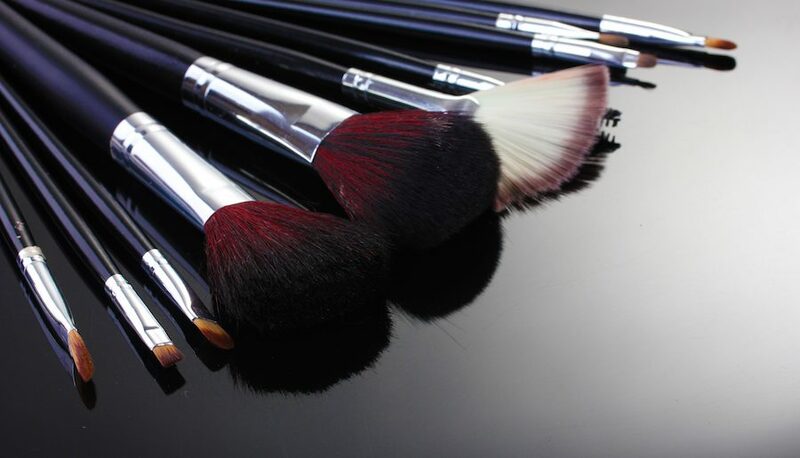 we use cosmetic brush cleaning tool which can be bought online or from your local chemist. 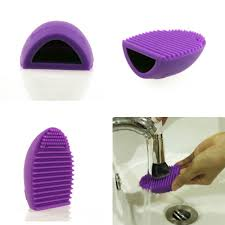 They come in various colours even black for the men,Just wet your brush apply a small amount of your antibacterial cleaner and rub against the cleaning tool then dry as normal.